Did you know that there are things that are alive and moving around in soil that you can’t see? These tiny but very important things are called soil microbes. Soil microbes promote nutrient cycling, contribute to soil structure, help with disease and pest control, and help to limit stress to the plant by helping to balance pH, soil salt content, soil moisture and soil temperature. Soil microbes can range from being bacteria, fungi, protozoa, nematodes and micro-arthropods. All of them play a vital role in keeping crops healthy and productive. For example, in the recent drought that Ontario, bacteria might have kept some plants alive that would have died otherwise. When the soil ran out of moisture, dying bacteria produced a tiny bit of additional water that could be sucked up by the plant’s roots, keeping the plant alive just a little longer until the next rain came through. There are good microbes and bad microbes – the bad can cause the plant to become diseased, and even damage or kill other soil life (like beneficial microbes). 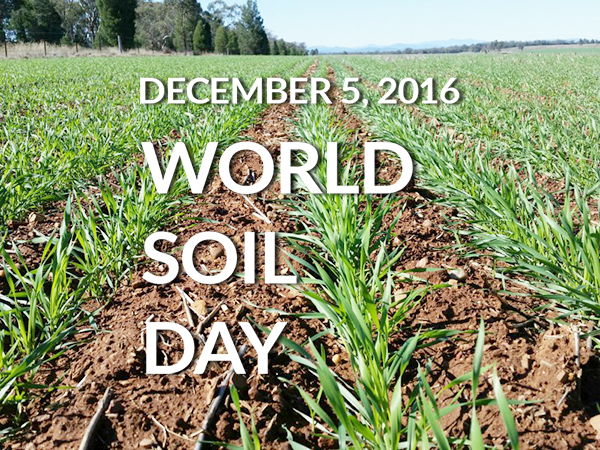 As a farmer, it is important to promote good soil health with good management practices!